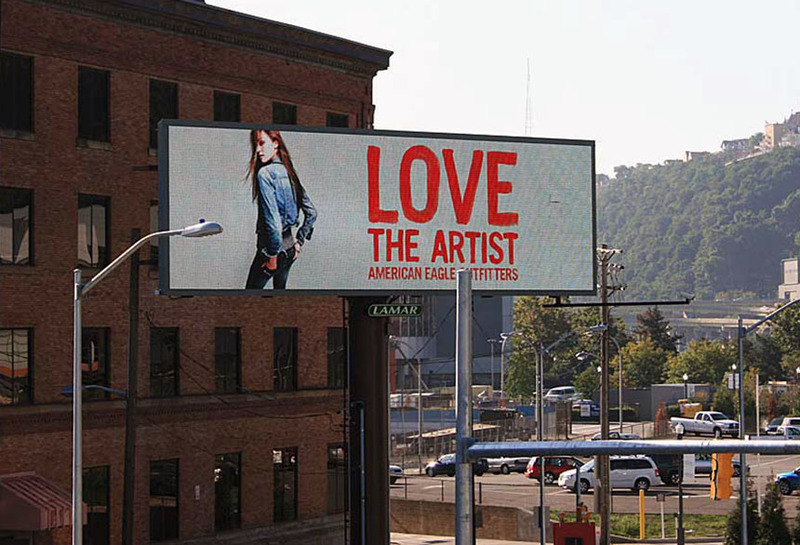 American Eagle ran a branding campaign using Lamar digital Billboards. The digital capabilities of this billboard made rotating images a possibility. The bright creative was lit and visible to pedestrians and motorists 24-7.